Nothing beats sleeping in the great outdoors, and whether you like roughing it in an RV or a pop-up tent, just pick your amenities and find a place to park it for the night. 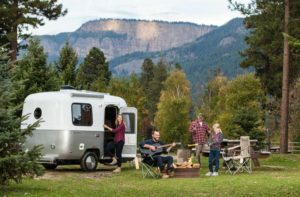 Campgrounds and RV parks are nestled along scenic lakes, in Enderby’s neighbourhoods and along the Shuswap River, offering drive in camping and tenting experiences with plenty of stars overhead. Combine that with the private RV resorts and you’ll find there are plenty of ways to fall asleep under the stars here. If you want full hook-ups or off the grid, we’ve got a place for you! Along the Shuswap River you will find places to camp from Mara to Mabel Lake. There are multiple private and forestry camp sites a short drive away.